Kim Jee-woon's fourth feature is probably the most well known film on this list, certainly outside of South Korea. 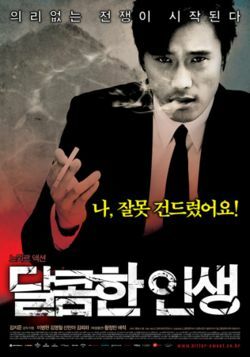 A Bittersweet Life is one of the most stylish Korean films ever made and unapologetic in its glorification of the aesthetics of gang culture. It is like a comic book and Lee Byung-hung's antihero seems superhuman at times. He is impeccably dressed, in extraordinary shape, exudes confidence, calculating, a near-unbeatable fighter, and of course, cool as a cucumber. The story, while present, is nearly superfluous, it amounts to a long, expertly constructed set-up for the pulsating revenge thriller that is the second half of the film. The film is not without its ideas though and shouldn't be written off as an exercise in style, although it is worth a look for the gorgeous mise-en-scene alone.